Regardless of the amount of snow that will fall, local crews are ready to handle this snow event just like every other, according to Gallia Engineer Brett Boothe. OHIO VALLEY — Winter weather is on its way, just in time for the first day of Spring. According to the National Weather Service, Charleston W.Va., a winter weather advisory is in effect for Gallia, Mason, and Meigs counties starting late Tuesday and ending about 11 p.m. on Wednesday. While it is expected that the entire region will experience precipitation, areas in Southern West Virginia will receive the bulk of the snow accumulation with as much as 17 inches. Areas of Gallia, Mason, and Meigs are projected to receive about two inches of snow, with a 10 percent chance of up to four inches. “Road temperatures will be high enough it should help us out. 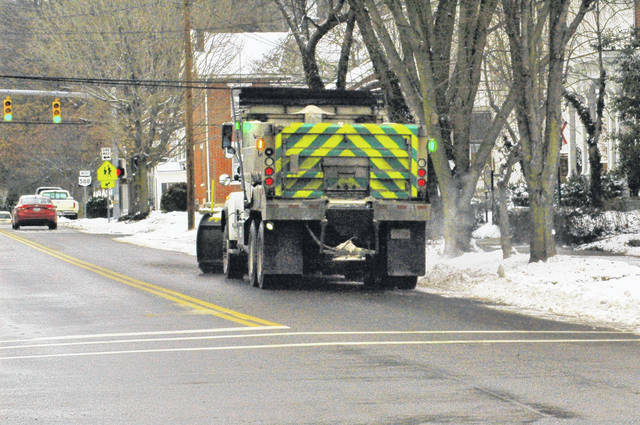 Should it snow, our highway department is ready for whatever the snow throws at us,” said Gallia Engineer Brett Boothe. Despite the possibility of snow accumulation, NWS is not expecting any ice accumulation during this snow event. With a high above freezing Wednesday afternoon and a low in the high twenties Wednesday night, there is a possibility of some ice on the roadways. The next several days will show highs in the forties and lows in the twenties overnight according to the NWS Charleston, with no precipitation expected Thursday.